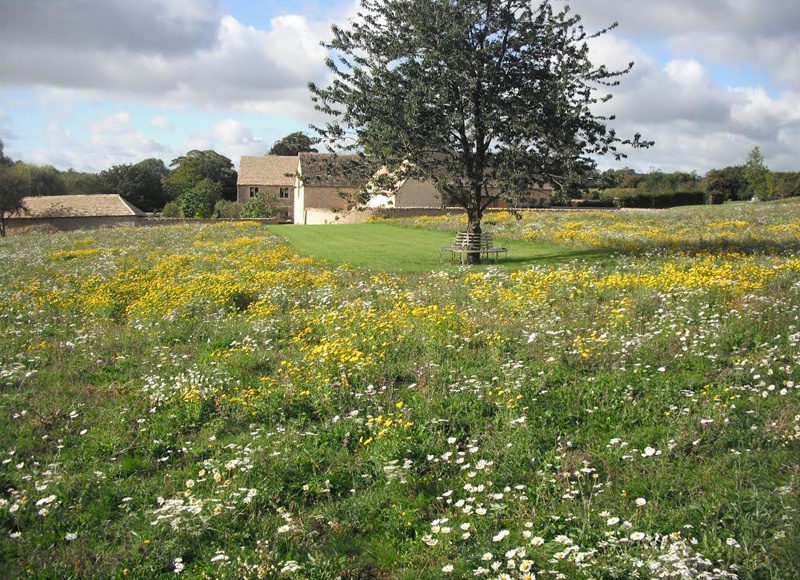 As part of the refurbishment of an abandoned farmstead in the Cotswolds in Gloucestershire, CSA was asked to help reinstate a traditional wildflower hay meadow surrounding the farmhouse. This involved cultivating and reseeding a permanent ‘improved’ agricultural rye grass field and reverting it to a diverse sward of attractive native wildflowers and grasses. Specialist British grass and flower seed for this project was sourced from ‘Flower Farms’ who grow and distribute native species, suited to local soil conditions. By utilizing some traditional management techniques, such as low intensity grazing and hay cutting, it is hoped that, as well as the visual effect of the flowering meadow, there will also be a direct benefit in terms of the biodiversity associated with this field.